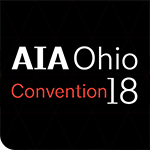 TOLEDO, Ohio, September 27, 2018 – SSOE Group (www.ssoe.com), a global architecture, engineering, and construction management firm, announced today that several of their architectural experts were invited to present at the 2018 AIA Ohio Convention. This event will take place on October 4-6, 2018 at the Renaissance Toledo Downtown Hotel. Educational specialists Heather Judge, AIA, NCARB, LEED AP BD+C; Tim Swartz, AIA, NCARB; and Jennifer Hrosko, IIDA, NCIDQ, CHID will present, “Key Strategies to Create Impactful Learning Environments”. Noting that the nature of educational facilities is in constant flux and requires state-of-the-art facilities, resources, technology and learning opportunities to prepare students for their future—their presentation will focus on the impact of design decisions, methods for educational environments, and target areas such as technology, security, and interior space designs to enhance the learning environment for current and future generations. Additionally, they will illustrate how key strategies increase the health, safety, and welfare of students within education facilities while balancing design considerations and strict regulations. This presentation will take place at 1:30 PM EST on October 4th. Louise Schlatter, AIA, CCS, NCARB, EIT, LEED AP BD+C and Gayathri Kankipati will present “Programs, Building Blocks, Etc.”. Their presentation will demonstrate how SSOE utilizes BIM methodologies for their workflow, focusing on using visual scripting, automation, and an Excel building program to initiate space planning in Revit. Attendees will learn how to quickly convert line items from Excel into Revit mass objects that are easily manipulated to produce a 3D “bubble diagram”. In addition, they will learn to put in place rules and filters that provide visual aid while designing guides that assist throughout planning, and evolve the 3D masses into a complete building model. Louise is a Master Architect at SSOE with more than 35 years of experience and Gayathri is a Project VDC / BIM Specialist with a background in Computer Science and Custom Application Design & Development. The presentation will take place 2:45 PM EST on October 4th. AIA is the leading professional membership association for licensed architects and emerging professionals, serving as the voice of the profession. AIA Ohio, a society of the AIA that represents more than 2,000 Ohio licensed architects and associate architects, is at the forefront of influencing statewide public policy through its government affairs program. For additional conference details, click here.